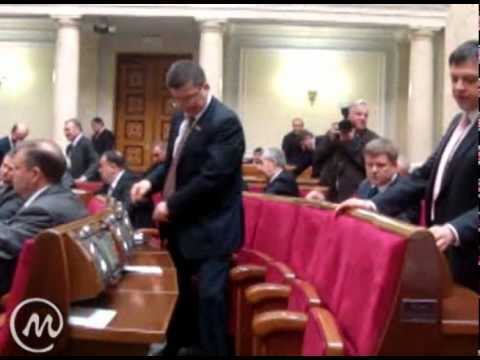 We, the undersigned, appeal to you with a proposal to submit the Parliament of Ukraine as well as individual MPs for the Guinness World Records consideration in the following categories: “Parliament whose members voted for most absent colleagues during one vote” and “Member of Parliament who voted for most absent colleagues during one vote”. Maidan reveals Ukrainian Parliament’s expenditures. What were they hiding from people? The analysis of information obtained raises questions about Parliament’s spending. Due to different yearly reports format it’s impossible to tell why Parliament’s expenditures had raised 17% or 116 millions from 2009 to 2010. One of component of this raise is reconstruction of one of Parliament’s building priced 8 times higher than market prices for similar works. On Tuesday, March 22, 2011 MP David Sweet (Ancaster-Dundas-Flamborough-Westdale) tabled a motion that was adopted unanimously at the Parliamentary Subcommittee on International Human Rights to investigate human rights abuses in Ukraine. The motion was drafted in cooperation with MP James Bezan (Selkirk-Interlake).